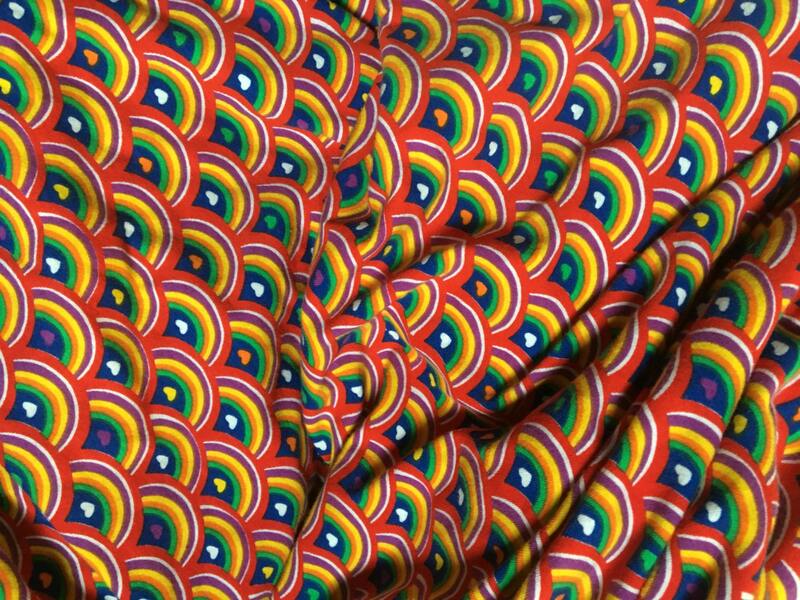 Rainbow Leggings! capri length prewashed cotton/lycra FREE SHIPPING! Super soft 95%cotton/5%lycra capri length tights. Pre washed and tumbled dry...thick and yummy. Excellent dye quality!! Cotton crotch gusset..double needle coverstitch hems. The fit is amazing! 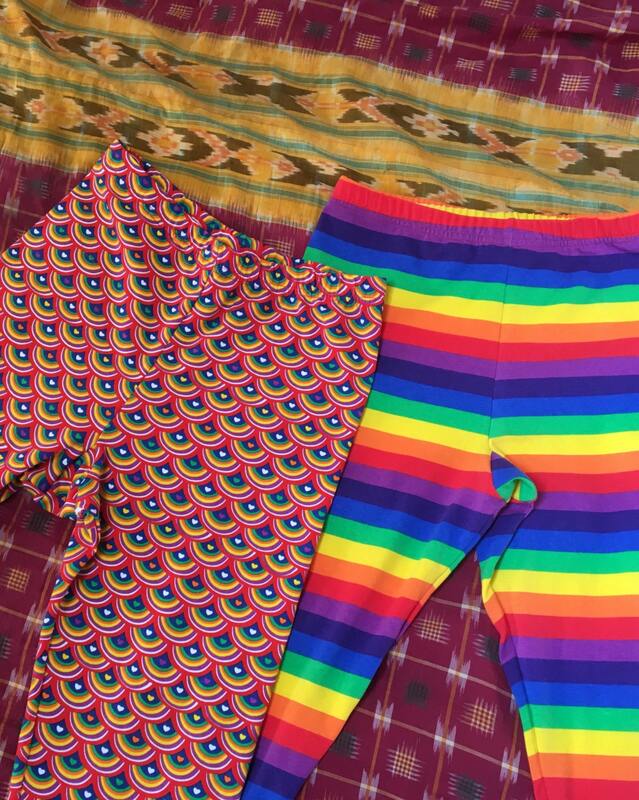 If you're wanting quality rainbow leggings...look no further...here they are! 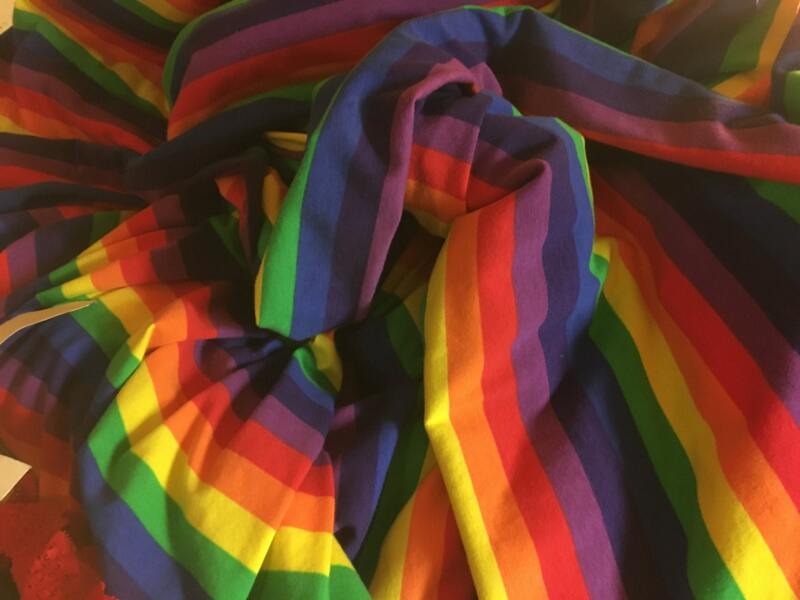 Check out my other rainbow items!